John M. Kline is a Professor of International Business Diplomacy in the Walsh School of Foreign Service, Georgetown University. He is a past Director of the Master of Science in Foreign Service Program and the Karl F. Landegger Program in International Business Diplomacy. His teaching focuses on international business-government relations, international investment strategies and negotiations, and international business ethics. 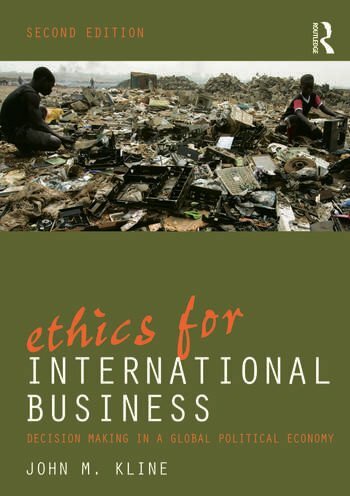 In addition to Dr. Kline's textbook, Ethics for International Business, he is the author of three other books as well as numerous scholarly articles and chapters in co-authored and edited books. Dr. Kline serves as a consultant to various international organizations and private multinational corporations. He has conducted studies for the United Nations, the Inter-American Development Bank, the Organization for Economic Cooperation and Development, and the U.S. Advisory Committee on Intergovernmental Relations. His current projects include a comparative analysis for UNCTAD on foreign investment policy in electricity infrastructure reforms in Chile and New Zealand, and a faculty workshop at Instituto Tecnologico y de Estudios Superiores de Monterrey in Mexico on teaching business ethics.